Bits of Sweetness: Hashtag stop guilt tripping & labeling the parents who do things different than you! Hashtag stop guilt tripping & labeling the parents who do things different than you! So... I saw this floating around social media land this morning. And while there are noble points and ideas there, it just made me cringe! What is with this guilt-tripping parenting stuff? This "you are a horrible neglectful parent if you do x" message going on? This idea that if you let your child cry for longer than x amount of time, you are causing them undue pain and possibly even abuse? I agree that balance is really important, and am by no means advocating that we let our children cry for hours upon hours on end while we eat bon bons and ignore their physical needs. That truly is neglect. This though? We have a happy thriving, my better off six-year-old who is a testament to CIO working. I am actually not advocating for CIO or any other method because each child is so different and a method that works like a charm for this child might not be such a good idea for another one. The point is just: do what works for you and your family without beating yourself or others over the head for it! I don't like this trend of "hard things" being turned into "bad parenting." You make your kid do "too much" hard work. You let your baby cry for longer than makes someone else comfortable (even though they're well-fed and you've already checked on them several times). You let your child face the failure of a bad grade that they got from not working hard enough. You feed your child food that might be a little processed. You let your child sleep with you longer than the experts recommend. You forward face your child earlier than 3 years. Can we just stop with the "bad parent" labels" and remember that different is not bad? I love all the information out there but these days there is almost too much information out there and such a huge push to find and promote the holy grail method of parenting. In turn, there is so much fear floating around. Fear that that different might be really really bad. It's not what we know. It's not what we do. It certainly wouldn't work for our kids or be what we would recommend. So instead of agreeing to disagree, we label it as "bad." I took that little gem of a picture and turned it into this. 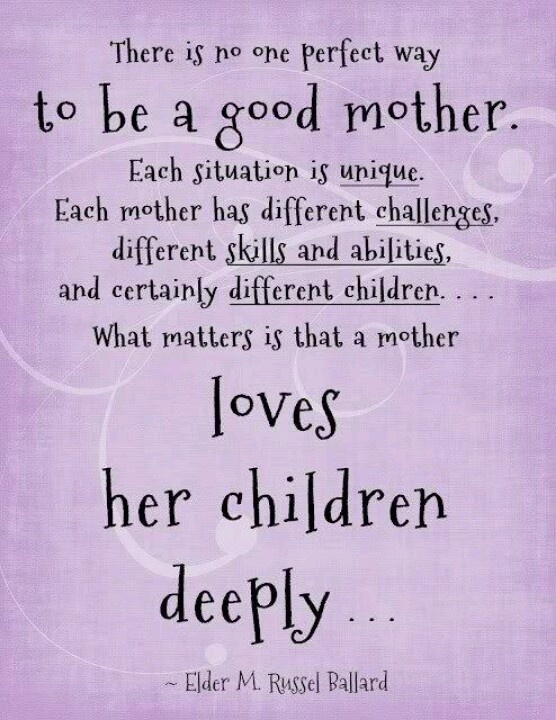 Why don't we just celebrate parenting for the hard imperfect thing that it is! This year, my goal is to encourage people more instead of being so concerned about changing everyone's mind (although, I must chuckle at that statement in relation to the content of this post.) I find that when I am more concerned with convincing someone that their idea is somehow lacking, that I miss the point and lose out on the relationship. This probably sums it up the best. Love your babies. Do what works for your family. Remember that different is ok. Most of all just celebrate loving and living life!